It can be problem with flasher switch. To confirm these issue,try these simple step. Pull the flasher switch and see,if blinkers stops. Flasher switch is good as it stops the blinkers when it is pulled. Otherwise its issue with emergency flasher unit. Try replacing the emergency flasher. Other possibility can be faulty turn signal solenoid. If the turn signals blink,this confirms that turn signal solenoid is also good. Please note on the 1989 there are 2 flashers. 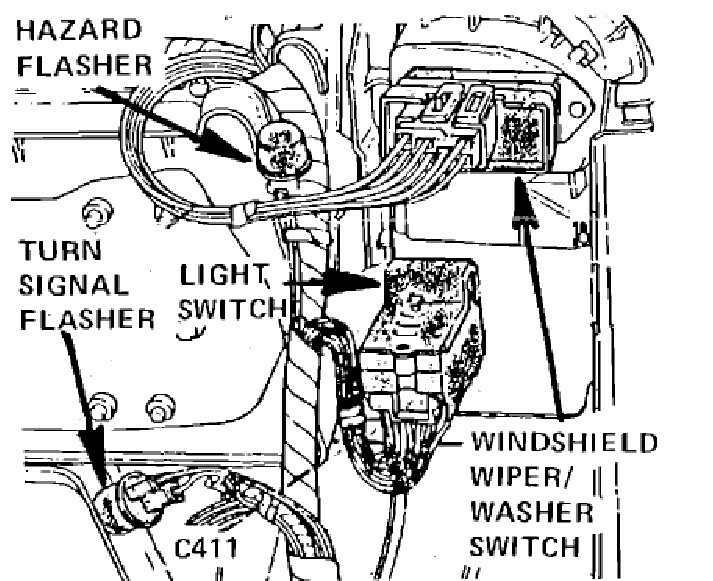 The emergency flasher is on the back side of the interior fuse panel right behind the turn signal flasher. On some later/newer model vehicles this fuse panel on the e350 rolling chassis was modified for RV use. There are two 3 pin flashers under the hood near the firewall. On has white green and brown wires the other has red green and brown. 1) The flasher is on the front of the fuse panel as it would be in a standard E350. 2) The flasher for the 4-ways IS NOT behind the fuse panel. This has been modified by the RV coach builder. 3) The 4-way flasher now consist of TWO (3 pin flashers) that are located in the engine compartment near the firewall. One of the Flashers has a white, Brown and Green wire. The other has a Red Brown and green wire. On such cases either the problem is with loose/ shorted wiring. Or the problem is with flasher unit itself. OR the problem is with 4-way flasher switch. 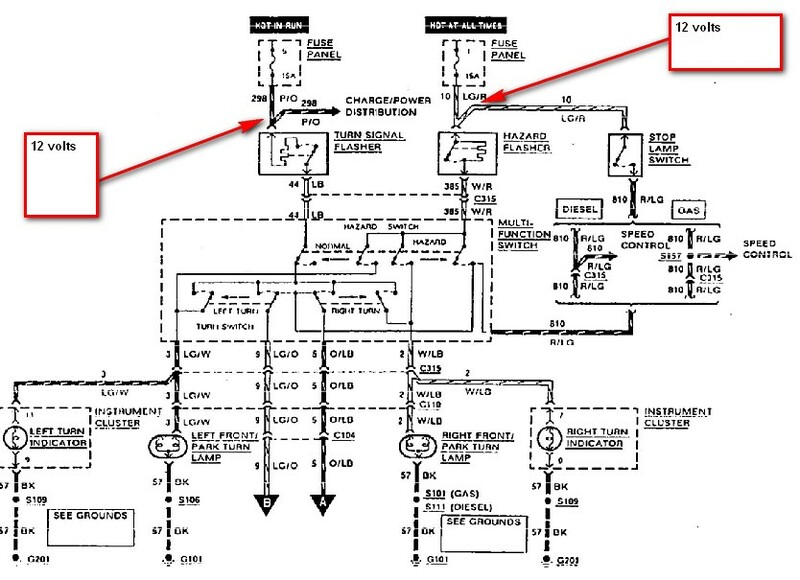 The green/red is the power source at the flasher If you have voltage there the you may have a bad switch. You should receive 12 volt here on flasher unit wiring .These confirms that flasher unit is ok,if no 12 volt then its faulty flasher unit or wiring.OR else if 12 volt received then its faulty switch. 1998 Pontiac Firebird: Both Front Turn signals not working? 2002 Pontiac Bonneville: How to replace Turn Signal Bulb? 2005 GMC ENVOY: Turn Signals Don't Work When Brakes Are Applied?